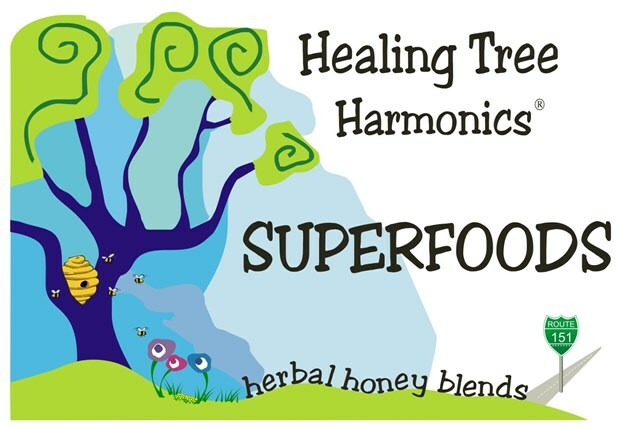 Welcome to Healing Tree Harmonics located in Vernon, B.C. I have created a new and completely different product line of Herbal Honey Blends. The process of bringing this super healthy honey is as unique as the taste of the finished product. “Raw” honey is blended with Alpha DME coconut oil and superfoods such as Goji, Acai, Maqui, Aronia berry, chaga mushroom, hemp and olive leaf powders plus spirulina and chlorophyll and more. The results are presented in combinations known as “gochaa”, “boochi”, “hembao” and “bee haven”. My intention is to provide a highly supercharged food that will support the daily work the body goes through to reduce inflammation, the root cause of many of the body’s diseases. My name is Braden Karringten and I invite you to attend the show and visit my booth for a tasting that many people have already exclaimed as “WOW”!